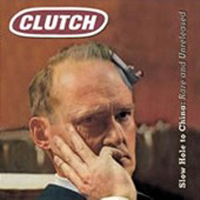 Clutch is one of the bands with the most cowbell songs. I really don't why this one stands out. I suppose it's the refrain of, "Oh, but one things for certain / Willie Nelson only smokes the killer weed." I don't know, I guess I just find that hilarious. I don't really know if the band speaks from experience. Regardless I would imagine this statement to be 100% true. I can't imagine Willie smoking anything but skunk. The song's pretty standard Clutch fare. Great groove. Great riff. The lyrics are obviously pro-marijuana and talk about a guy who is smoking marijuana to relieve the pain of an unspecified disease and the authorities are breaking into his home and arresting him. Pigs, man!